Clarity® Synthetic Hydraulic Oils AW are a range of ultra high performance hydraulic fluids, designed with synthetic base stocks and an ashless, zinc-free additive system. Clarity Synthetic Hydraulic Oils AW promote high temperature oxidation resistance, rapid water separation, wear, rust and corrosion protection. Clarity Synthetic Hydraulic Oils AW offer a very high viscosity index (VI) to help improve hydraulic response time across a wide temperature spectrum. 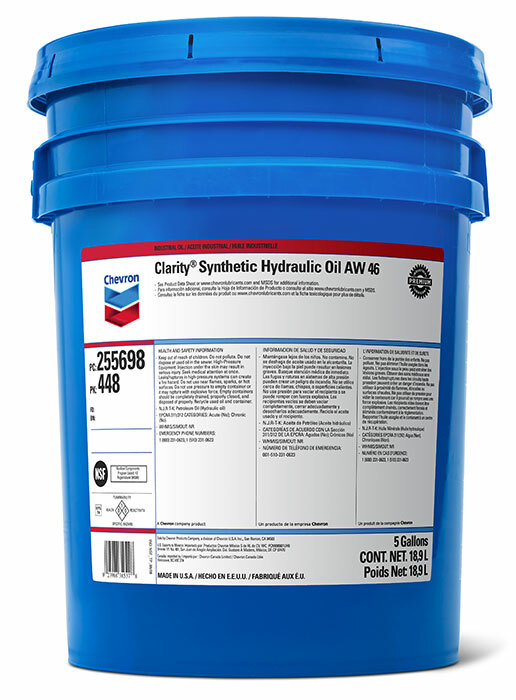 Clarity Synthetic Hydraulic Oils AW are designed to offer robust protection to mobile and stationary hydraulic equipment in both industrial and environmentally sensitive environments. Many hydraulic systems are required to operate in environmentally sensitive areas where leaks or spills of hydraulic fluid may result in contamination of the soil or nearby waterways. Conventional anti-wear hydraulic oils are formulated with metal-containing performance additives which can persist in the environment in the event of leaks.